'An exhibition opened Friday in Bucharest that aims to debunk the myths surrounding Walachian prince Vlad Tepes (the Impaler), who inspired Bram Stoker's bloodsucking character Dracula. "The exhibition is based on historical studies showing that the legends related to Vlad Dracula were aimed at presenting eastern Europe as a primitive land and a source of evil," Austrian curator Margot Rauch told AFP. Entitled "Dracula - Voivode and Vampire", the exhibit for the first time puts on display in Romania portraits of Vlad Tepes (who reigned twice, between 1456-1462 and then in 1476) borrowed from the Kunsthistoriches Museum in Vienna and the Schloss Ambras museum in Innsbruck. Manuscripts and engravings depicting him as a "blood-thirsty tyrant" are also on display. "Vlad Dracula was doubtlessly cruel, but not more so than other princes of his time," Rauch said. "In fact he was a victim of bad propaganda" from his western European peers. One of the engravings, dating back to 1500, shows Tepes having a meal under the eyes of a dozen empaled men, while others have their limbs chopped and their heads boiled in cauldrons. A large part of the exhibition is devoted to vampirism, several alleged cases of which were reported in the early 18th century, especially in southeastern Europe. 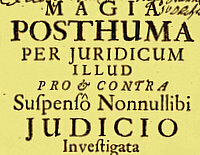 Several treaties on this "phenomenon" as well as essays on whether "vampires are active during daytime" are also exhibited, such as an edict issued in 1755 by empress Maria Theresa "banning superstitions". Rauch however stressed that Vlad Tepes owes his reputation as a vampire to Bram Stoker's novel "Dracula", published in 1897.